After successfully completing his Master’s degree in International Law with merit from the University of Hull, Kieran decided to change paths and enter the world of business. With an astute, keen eye for detail and an inquisitive mindset; he knew he would enjoy a career in recruitment. Kieran joined The Core Partnership as a Researcher in October 2017. After completing our rigorous training programme, he has worked tirelessly at mapping this niche market and assisted the other Recruitment Partners on assignments at all levels and across all industry sectors and types of organisation. 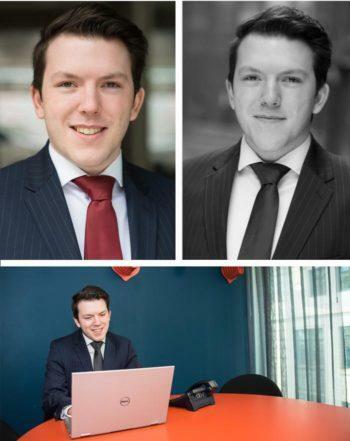 Now equipped with deep sector knowledge, Kieran has been promoted to Recruitment Partner and has a keen interest in developing candidates and clients in the professional services and financial services sectors. Whilst at University, Kieran was the President of the University’s Rowing Club, and has rowed and coxed competitively around the country. In addition, he was active within the local community, taking part in Legal Pro bono work in the area of Asylum and Immigration. When not at work Kieran may be found keeping fit either running or rowing. He also likes to relax with music, playing the guitar or piano. We recruit Company Secretaries, Governance and Compliance people.